I’m a big advocate of putting together an emergency fund. I’m not talking about that giant fund that contains 4-6 months worth of living expenses (or whatever the experts are recommending today). I’m talking about the money you set aside for unexpected expenses so that when your car breaks down, you can afford the repairs and aren’t panicking about how you’re going to find the money because you need your car to get to work. How much you save is definitely individual, but what I think everyone should do is make sure that their emergency fund is working for you. What do I mean by that? It’s all about where you keep your emergency fund. Your emergency fund should be in the highest interest account you can put it in. It should also be in a no-risk account. That means that I don’t think you should be putting your emergency fund into stocks or even mutual funds. Those both absolutely have a place in your financial life, but that’s not where an emergency fund belongs. Your emergency fund should be accessible, but it doesn’t need to be too accessible. In most cases, when you need your emergency fund, you don’t need immediate cash. 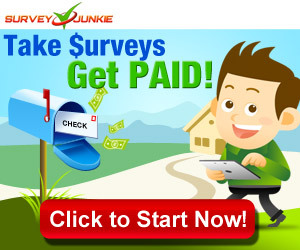 You will have a couple of days or weeks to access the money, so don’t just stash a stack of hundred dollar bills under your bed. I recommend putting your emergency fund into a high yield savings account. Unfortunately, the yields aren’t what they were 15 years ago, but you can definitely find better percentages by looking online. Personally, I have my emergency fund in a Capital One 360 account, but that’s just because that’s where it’s been for years. It may not be the highest yield at this point. Right now, the interest rates are at 1% at this particular bank. That means on a $5000 deposit, I make about $50 a year. Not bad. And of course, the hope is that I don’t need to access that money, so it will continue to grow. I actually have the majority of my emergency fund in CDs. A CD, or Certificate of Deposit, is basically a financial product where you “lock” your money away for a set period of time (often anywhere from 6 months to 60 months). These products typically have better interest rates than current savings account rates, plus you’re locking in the rate, so even if rates drop, you’re set. For example, right now, Capital One is offering 1% on savings accounts, but 2.25% on a one year CD. 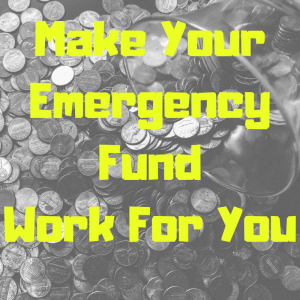 That’s a great way to make your emergency fund work for you. I know what you’re thinking. Is it a good idea to lock away your emergency fund? What if there is an emergency? When I use CDs for my emergency fund, I make sure that I can break the terms of the CD, meaning that I can get my money out early if I need it. Of course, with that comes a penalty. At Capital One 360, a CD of one year or longer comes with a 6 month interest penalty if you withdraw the money early. So if you put your money into a CD and then withdraw three months later, you will have less than when you started. It’s definitely a risk. I’ve had my emergency fund in CDs of varying lengths for years, and until now, I’ve not had to withdraw the funds early. Yes, you read that right. Until now. While I normally keep a good amount of float in my accounts so that I don’t need to access my emergency funds, I’ve taken two big hits in 2018. I had unexpected surgery at the beginning of the year, and even with insurance, that cost me a few thousand dollars. Then, a few weeks ago, my air conditioner died and I needed to buy a new one. Those two things put a huge hole in my budget and I need to hit up the emergency fund. Right now, the air conditioner is on my credit card, but when that bill comes due, I will be closing a CD early and using the funds to pay the bill. That said, I’m still glad I had the money in a CD. I will still come out with a good amount of interest, and this money has been floating in various CDs for nearly five years. I’ve absolutely made more money in interest by using CDs than I would have by simply putting it in a savings account. Over the next few months, I will be working to build my emergency fund back up and you had better believe I will be making my emergency fund work for me by putting that money back into CDs.